As suggested by Erika Batista, label everything in your laundry closet. In this way, it is easier for you to quickly find anything you are looking for. Labeling also gives an overall tidy look to your laundry room. Make labels for everything, from laundry supplies to clothing, towels and shoes, etc. It is advisable to keep all the laundry supplies in place to avoid any clutter in future. For this purpose, you may use store-bought baskets and storage containers. Alternatively, you can make a storage basket at home using an old shoe box. To give your laundry space a more refined look, try using a single type of baskets or storage boxes. Invest in some good wall-mounted organizers and shelving to utilize the walls of your laundry area. This tip works great if your laundry room is comparatively smaller in size. In this regard, floating shelves can serve the purpose. You can install the cabinets in the unused corners and walls of your laundry room. These shelves are great to keep detergents, towels, brushes and other laundry essentials. You can also go for a countertop above your washing machine and dryer. Keep all dirty clothes in laundry bags. You can label or color code these laundry bags accordingly to avoid any mess. 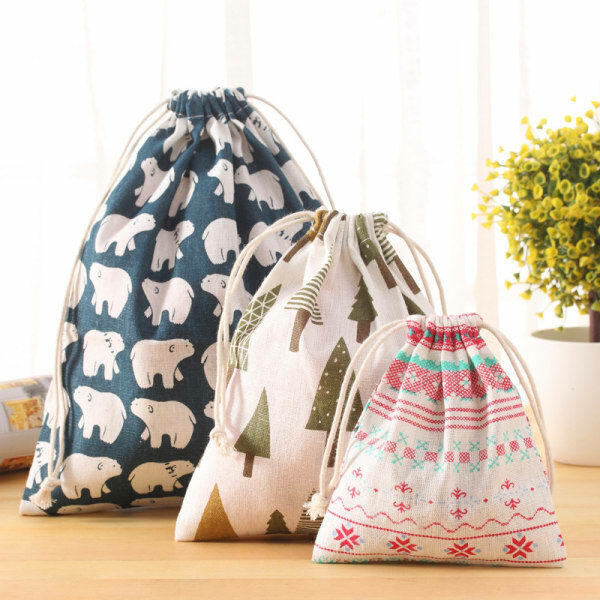 These bags keep your unwashed clothes hidden and give a tidy look to the laundry room. 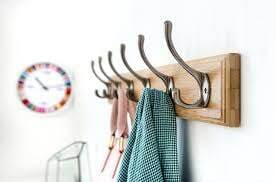 You can mount a hanging organizer at the back of the door of your laundry room and keep the laundry supplies there. It saves space and keeps everything in its place. Thus, avoiding any unnecessary clutter. Install a set of hooks to mount the laundry essentials and hand towels etc. You can fix these hooks at any spare wall or at the back of your door. 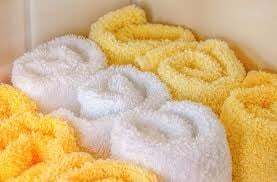 Instead of stacking towels into a huge heap, roll them up and put in a basket or storage container. In this way, you will find your laundry area more organized. Also, it will be easier for you to take out one towel without creating any chaos. 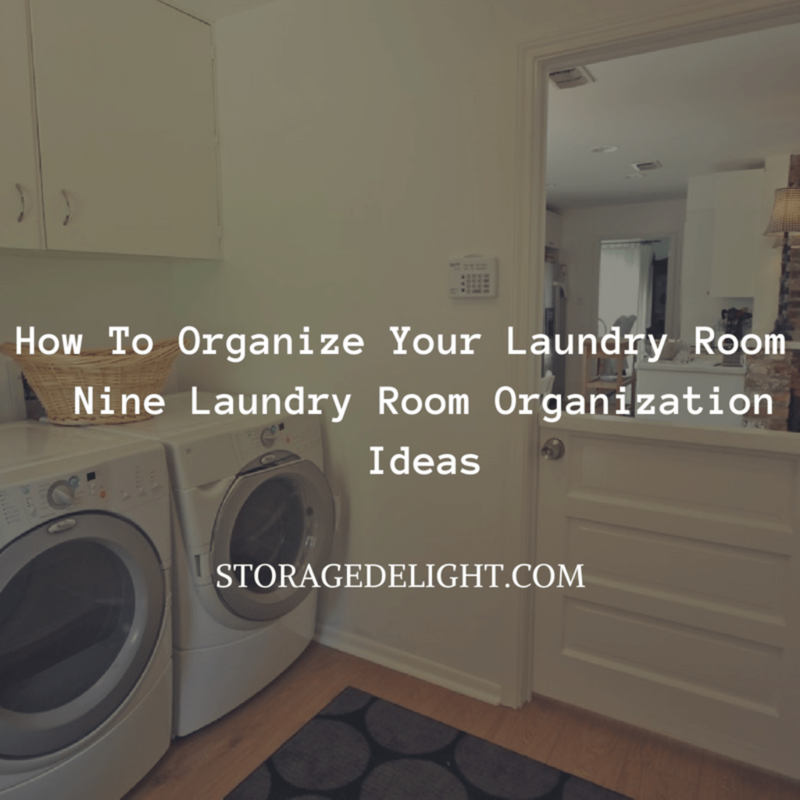 There must be a spot or two in your laundry room that you want to keep hidden, for example, the place where you keep heaped baskets of unwashed clothes. You can hang a countertop curtain and hide those baskets behind it. Try to utilize every nook and corner of your laundry area. Place a slim rolling cart at the space between the washer and dryer, washer and the wall, or what so ever is available. 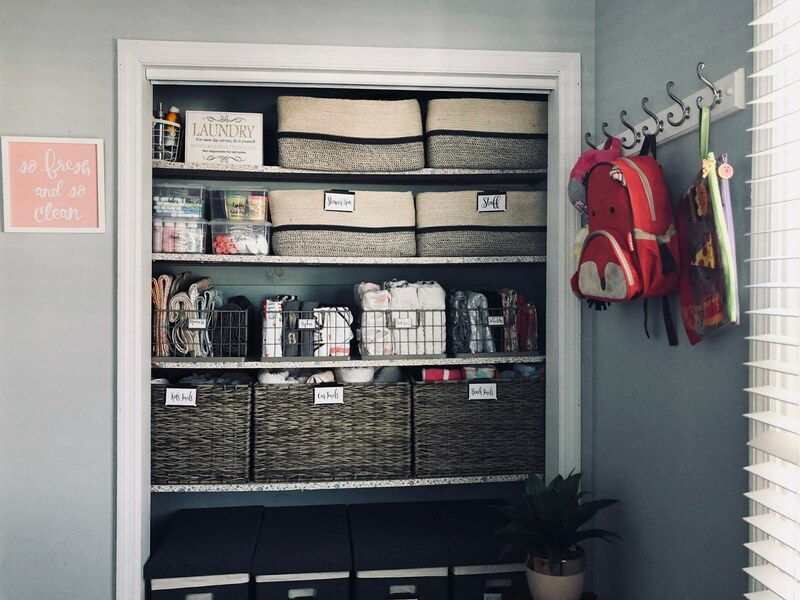 So, these were nine laundry room organization ideas. Try them and let us know if any of them helped to declutter your laundry. A content writer, blogger, newbie entrepreneur and a homemaker who loves reading and exploring world.